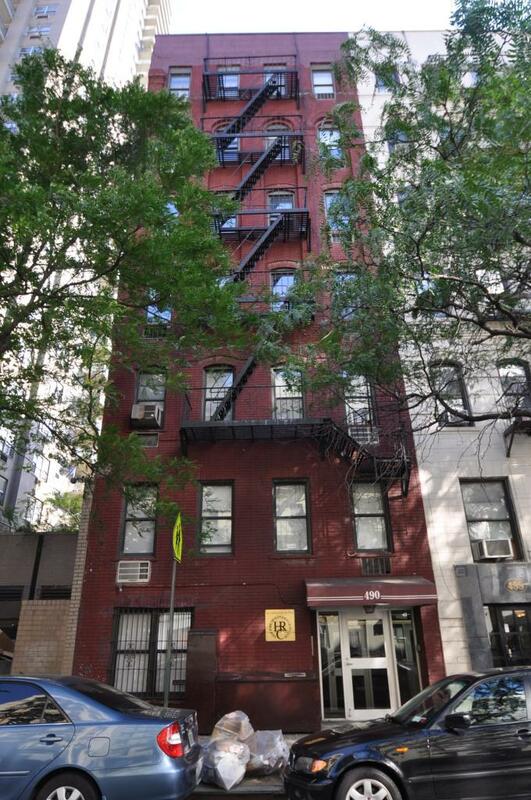 Located right in between First Avenue and York Avenue in the Upper East Side district of Manhattan is 410 East 89th, a 1930’s building that is now owned and managed by SW Management. It is a lovely building composed of only six floors with 24 apartment units. All of these units are bright and spacious and are of one-bedroom or two-bedroom layouts. The building features an elevator, a designated laundry room fully equipped with the needed appliances, and a live-in super that takes care of building maintenance and repairs around the clock. Per management policy, no pets are allowed in the building. The location of this rental property is ideal. The Central Park is just nearby and basic public services such as subways and bus stops, as well as shops and commercial centers are conveniently near also. 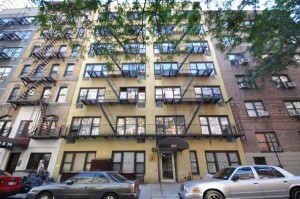 Nearest subway station is at 86 St approximately 0.6 miles; 11 minutes walk from the building. 490 East 74th Street is a small red-bricked brownstone located between First and York Avenue. It was constructed in 1910 and is now being leased by S.W. Management. The building has seven floors with 26 apartment units that are accessible through an elevator. Laundry facilities are available inside the building. Apartments in this building have been recently renovated to include a video intercom system, striped wood oak floors, large closets, and stainless steel appliances in the kitchen. The closest subway station is on 77th Street approximately 0.6 miles from the building or a 12 minute walk. 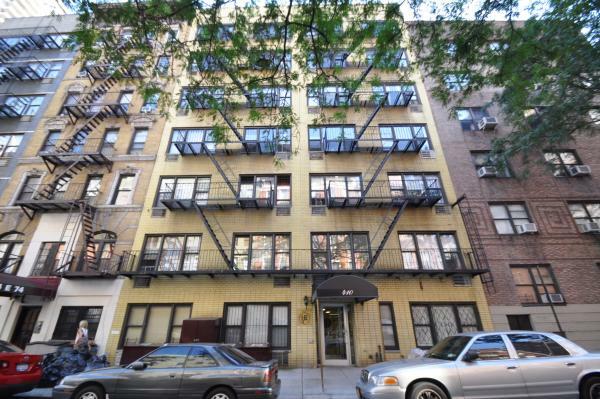 410 East 74th is a 7 story rental property located between First Avenue and York Avenue. The building was built in 1920 and has all the beautiful architectural details that a pre-war tenement offered. All 56 apartments are either studio or one bedroom layouts and have recently been refurbished with modern details. Each unit has hardwood floors, original moldings, high ceilings and modern kitchens with stainless steel appliances. 410 East 74th’s façade is elegantly detailed with bright yellow bricks and the lobby is also completely refurbished. The building features an elevator, a laundry room, and an air conditioners in the apartments. It is currently managed by SW Management and they allow pets in certain units. 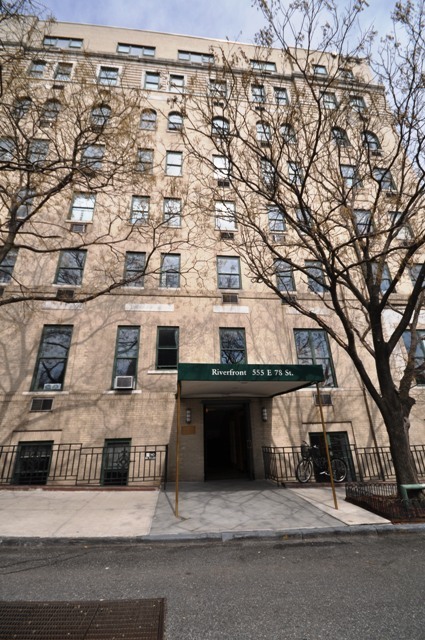 Nearest subway station is on 77 St approximately 0.6 miles or a 12 minutes walk from the building. A beautiful turn of the century building finished in 1910, 416 East 74th is the perfect place for people looking for a residence apartment that has the classic elegance and warmth of tenement housing that has been converted for modern day living. This place is seven stories high and contains 27 apartment units. These units are all one-bedroom layouts. The building features an elevator, a separate laundry area with modern facilities, and a voice intercom. The apartment units are well-designed and classy with pre-war art deco finishes including decorative hardwood floors, exposed brick walls, high ceilings, arch-shaped doorways and original crown moldings. They also have pass-through kitchens. Pets are not permitted in this building. 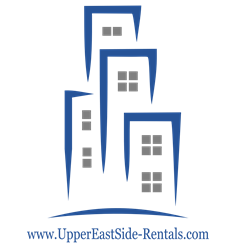 Apartment location is also excellent since it is just between Second and First Avenues near parks, restaurants and bars. This property is owned and managed by S.W. Management. 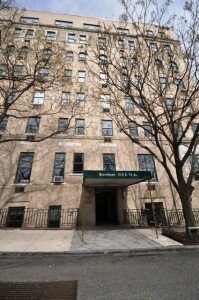 The building is just one block away from Gracie Square Hospital. Nearest subway station is at 77 St approximately 0.6 miles; at 10 minutes walking distance from the building. 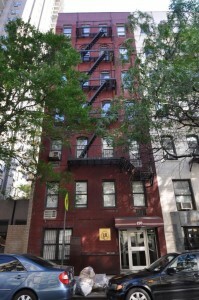 411 East 81st is a low-rise rental property built in 1960. It has 5 floors with 20 apartments in studio layouts. It is currently being leased by S.W. Management. This apartment is great for people looking for a place that is updated with modern finishes. All five floors of this building are accessible via an elevator. It also has a separate laundry room with up-to-date facilities and a voice intercom for services in each apartment. As for the apartment units, they boast decorative hardwood flooring and separate kitchens renovated to better suit the needs of the residents. The management does not allow pets in the building. Located between First and York Avenue in the quite Yorkville area of the Upper East Side. This building provides residents with comfortable access to parks, hospitals, restaurants and shopping. There are also health club called Moving Strength just outside the building. Nearest subway station is on 77th and Lexington Avenue approximately 0.6 miles; or a 13 minute walk from the building.